Nestled in the foothills west and south of Phoenix, this Newland Planned Community features a number of developers, active adult and non-adult communities, schools, local shopping and two large recreational lakes with boating access. The active adult community is Canta Mia which has access to the main community golf courses. The primary recreation center for the entire community features a large exercise room, swimming pool, several meeting rooms for clubs etc. and lake access for boating. 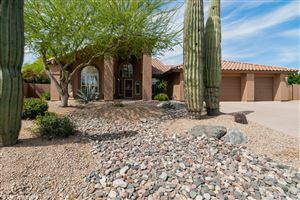 The rolling foothills place the average elevation above that of the Phoenix West Valley and provide beautiful vistas in place of rows and rows of houses you will see in a typical subdivision. With a wide variety of floor plans available, prices range from the low $200,000s up to over $850,000 for custom homes on acreage lots. If you want some distance between you and the hustle and bustle of a metro area plus a great area to raise kids, Estrella may just be the place for you.